Frankfurt School is expecting excellence in research and teaching. Applicants should have earned their Ph.D. degree with a concentration in information systems or a related field (upon appointment) and begun to establish a record for high quality and impactful research. We are looking for technically competent candidates with experience and interest in teaching courses in programming (Python, Java), data analytics, artificial intelligence, systems analysis & design, or electronic business. We offer a leading-edge campus facility and a stimulating research environment with attractive research funding and all the opportunities of a vibrant private business school. The Management Department consists of faculty members with great passion for crafting high quality research, which is regularly published in premier management journals. Please browse our website (www.frankfurt-school.de/en) for information about the faculty, our teaching, research programs, and research centers. The deadline for applications is November 20, 2017. Please submit your application including a CV, two reference letters, three papers (published or unpublished), and a record of teaching effectiveness (taught courses and evaluations) by e-mail to Frankfurt School Human Resources at personal@fs.de. Applicants being available for interviews at ICIS in Seoul should indicate this in their cover letter. 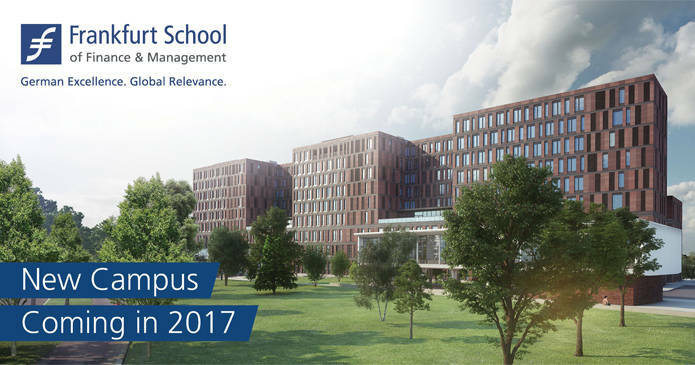 Frankfurt School of Finance & Management values diversity and seeks talented students, faculty, and staff from diverse backgrounds. Frankfurt School is an equal opportunities employer. For inquiries about the position, please contact Professor Daniel Beimborn, Professor of Information Systems, Phone: +49 (0)69 154008-746, e-mail: d.beimborn@fs.de.